Easter Glentore Farm is a 100-acre farm in rural North Lanarkshire which enjoys sweeping views over the owners' farmland. Located in a scenic setting on the B803 between the villages of Greengairs and Slamannan. Main motorway links can be reached in minutes which mean you can visit Edinburgh, Glasgow, Stirling and Falkirk in about half an hour. The farmhouse dates back to 1705 and has been modernised to offer 2 ground floor ensuite kingsize bedrooms. Home baking on arrival. 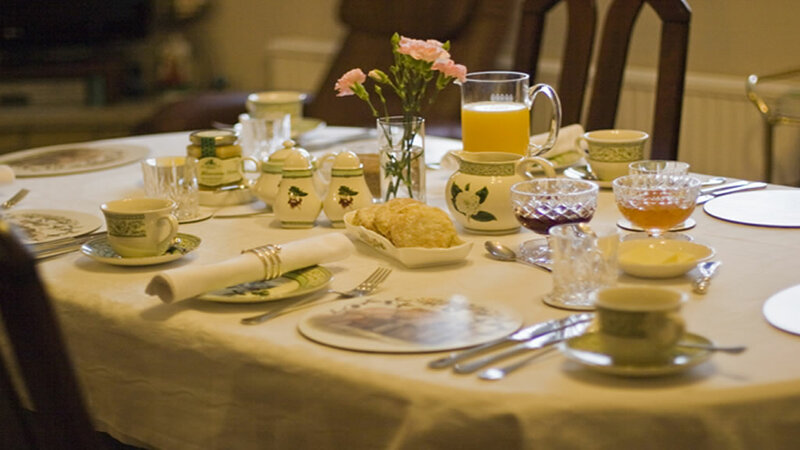 Breakfast is served in the dining room and includes either a Continental or Full Scottish Breakfast option using homemade and local produce. Easter Glentore is an excellent touring base for the cities of Stirling, Glasgow and Edinburgh, but is also just a short drive from the Loch Lomond & Trossachs National Park and the Pentlands. The Kelpies, the Falkirk Wheel and the Antonine Wall are all nearby. It is also close to many Outlander filming locations. The railway station is just a 15 minute drive away. Please refer to our website for full Terms and Conditions.